Our Presentation Night Dinner was a huge success! 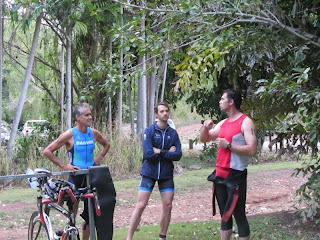 We managed to (over) feed a mob of hungry triathletes and their guests and acknowledge our award winners (listed below) along the way. Congratulations to all our winners, it was wonderful to be able to celebrate our many successes from 2012/2013. We would like to acknowledge and thank our award night sponsors – SuperSprint, Timex, AMart Sports, CycleZone, The Good Guys, Gallery 26 and Massage4Life. Our sincere thanks to those who assisted with Presentation Night preparations. Belinda Birk was the driving force behind the fabulous club theme; On the day, Bin was ably assisted with setting up by Russell Peacock, Bertram Birk, Daryl Stanley and Justin Tranter. Kylie Gaffel, Lucy Thompson, Stu Fitch and Dave Croser also had input for the night which was very much appreciated. We thank you all. Congratulations to our award winners ……. 1. An issue with sanctioning has meant our scheduled triathlon following the AGM cannot take place. 2. We encourage you all to still come on down to Lake Alexander, attend the meeting and complete a 5km training run afterwards. 3. All members attending our AGM in person will receive 4 pointscore points. NOT ABLE TO ATTEND OUR AGM? 2. It is a simple form and should only take a minute to complete and return. You may need to click “enable editing” at top of form. 3. Steve Goat, John Arrigo, Robyn Stanley and Justin Tranter will definitely be attending the meeting, so we encourage you to appoint one of these current committee members as your proxy. 7. Items for next E News by Sunday 8pm please. 1. Moira Wigley, Brett Verity, Rob Weatherald and Lorna Blake all won their respective categories at the Swimming NT Open Water Swim meet at the Waterfront on Saturday. 2. We are aware more members than mentioned in the last E News completed the Katherine Ultra Challenge. With results not yet posted, we unable to confirm all our member results. Well done to all those who competed individually and/or in teams. Full results will be posted here. 3. Phill Hatty won the Dag of the Year award for the second time. Mmmmm. Check the size of Phill against size of wetsuit. How he even got it on, remains a mystery! 4. 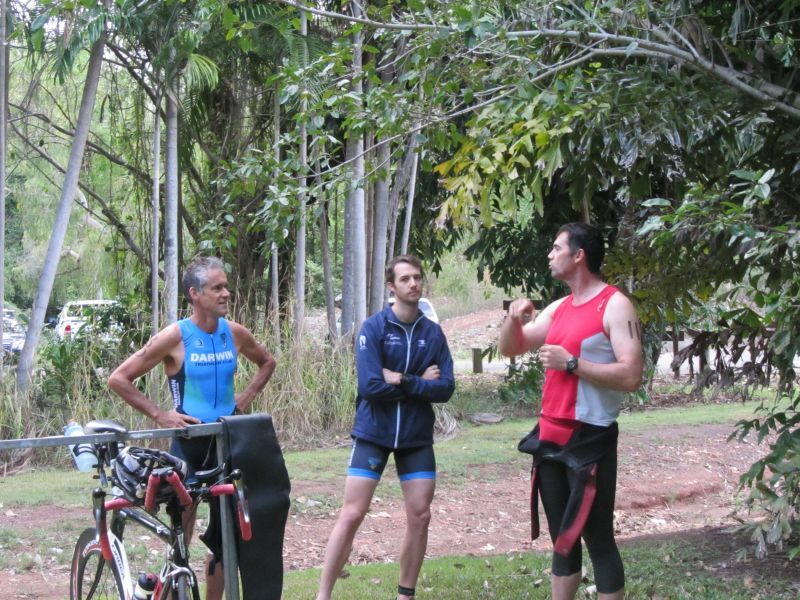 Reminder: Entry for Finlay’s NT Long Course Triathlon Championships closes 21 August. Not up for individual? Team options for 2 and 3 person teams are available.